Antique China Export Trade Bosun's Call - Pipe Early 19th Century Copyright 2013 by Land And Sea Collection™. All Rights Reserved. Presented is a very early Chinese made Bosun's "Pipe" or "Call" which is frequently referred to as a Boatswain's whistle by landlubbers. This one is much larger than what is used today by the Navies of the worlds' noncommissioned petty officers, usually the Boatswain's Mate of the Watch. It is usually embellished by having an artfully worked dragon on both sides of the flat section which is called the "Keel"**. It is unmarked, but is most assuredly made of the Chinese equivalent of Silver which is itself a highly prized collectible in today's market. NORTHEAST AUCTIONS: In August, 2008, this up-scale auction house sold the Henderson pipe in Lot 550 for $5148.00 which included the buyer's premium. It was described as "Chinese Export Silver Bosun's Whistle, Nineteenth Century: The ball chamber chased and engraved on each side, with dragon's head applied and streams of flame continuing down each side, the body marked sterling. Length 5 5/8". 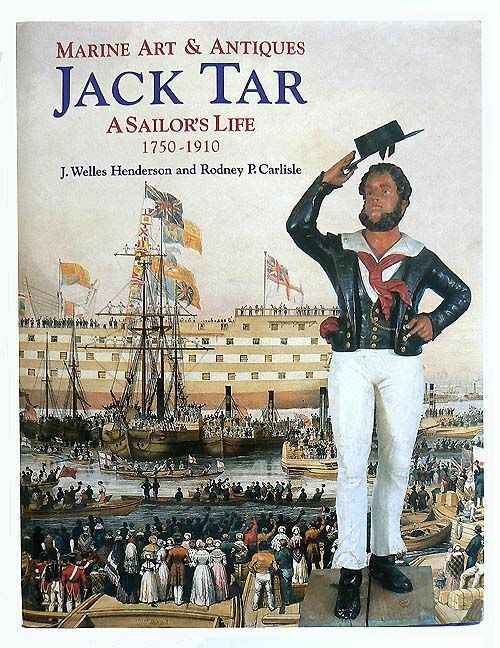 Literature: Jack Tar, p. 48"
Our first sale, which was similar to that which we now offer, took place to a British Antique Consultancy for a client museum in 2011. COMPARISON; THIS ANTIQUE TO A PIPE STILL BEING USED IN ENGLAND: The length of this relic, which likely dates back to the early 1800's, is 5 7/8" compared to 4 1/2" for British one. Its width at the widest point at the buoy is 13/16" compared to 5/8". These are major differences in size and certainly in appearance as shown in the picture below. A SUMMARY OF ANTIQUE CHINESE SILVER: The topic is beyond the scope of this listing except in the most general terms. The early days of the export of Chinese silver dates to Ca 1800 and earlier. In the early period it might have been made to order since the ships remained in port for extensive periods as their holds were filled with return cargo by the various trading companies that represented them. The trading companies were located centrally in such ports of entry as Hong Kong, Shanghai and Canton. It is the early examples that are most in demand. The early Chinese silver in the 18th, and 19th centuries that were not custom made featured primarily Chinese designs and were hand hammered, but if the visitors stay was lengthy, it could be custom made to their designs. By the 20th Century, the Chinese adopted mass production techniques. They had also adopted using hallmarks like the English, which allows the larger shops to be identified, but totally ignores the smaller shops that were outside this realm which could be superior. The silver content was never a measured standard so it varied between makers and even by the same maker. It is not a consideration in establishing today's value. That is based on condition, execution to the style of the day, and when from a known maker, their current reputation for superior quality. Few of the various China trading companies or shops made bosun's pipes which accounts for how scarce they are today. For example, this is only the third one and the earliest we have found in the last ten years. The Chait Collection of Chinese Export Silver, by John Devereux Kernan, 1985. A boatswain's call is a pipe used on naval ships by a boatswain. It is also spelled "bosun's call". It is never called a "whistle" except by landlubbers (added). The pipe consists of a narrow tube (the gun) which directs air over a metal sphere (the buoy) with a hole in the top. The player opens and closes the hand over the hole to change the pitch. The rest of the pipe consists of a keel, a flat piece of metal beneath the gun that holds the call together, and the shackle, a keyring that connects a long silver or brass chain that sits around the collar, when in ceremonial uniform. Historically the boatswain's call was used to pass commands to the crew when the voice could not be heard over the sounds of the sea. Because of its high pitch, it could be heard over the activities of the crew and bad weather. It is now used in traditional bugle calls such as Evening Colours/Sunset, and in other ceremonies in most modern navies. It is sometimes accompanied by other auditive features such as ruffles and flourishes, voice commands and announcements, or even a gun salute. Haul: The most basic of calls. Crews of warships were not allowed to sing work songs or shanties, so the pipe coordinated the sailors. The low note was for the pause and preparatory; the high for pulling on the line. The Side or Away Galley: Descends from the tradition of hoisting officers aboard ship in a chair. It is a combination of haul, and then a command to lower. This call remains in use as an honor given to officers when embarking or disembarking. Away Boats: Used to order a ship's boats to leave the ship's side. Call the Boatswain's Mates: The boatswain's gang to report. All Hands on Deck: Crews were split into two rotating watches that stood for four hours at a time. This call signals the entire crew to assemble on deck. Word to be Passed: Command for silence, an order to follow. Pipe Down: Dismissal of all the crew not on watch. Dinner or Supper: Calls the crew to a meal. Still: Used to call the crew to attention. Carry On: Used after the still, to dismiss the crew back to their duties. General Call: Piped before an announcement. Copyright 2013 by Land And Sea Collection™. All Rights Reserved.